I’m taking up a challenge posed by Nancy this past week in her post, “15 Random Facts & A Blogging Challenge Too!”. What a great way for any of us who read blogs or write blogs to get to know each other just a little better! I enjoyed reading Nancy’s list of random facts about herself, as well as a number of subsequent posts over the last few days from other blogging friends who are participating in the challenge. I do hope that many more will join in the fun. If you don’t have a blog, just leave a comment below with a random fact or two about yourself. 1. I grew up in Washington, D.C., where almost everybody seems to be from somewhere else. 2. I love piano and took lessons for about 8 years starting when I was six years old. 3. I also learned to play the cello a little when I was in high school. 4. When I was in college, I wrote articles regularly for the university newspaper and considered a career in journalism. 5. Several years ago, my husband and I “adopted” a 75-pound part-Labrador retriever who is very goofy and loves to go on hikes with us. 6. I once rode a bicycle 500 miles across the state of Iowa (over a week as a participant in an annual event called RAGBRAI). 7. My favorite state is Utah, with its amazing natural beauty. 8. On a recent trip to Utah, I flew in a very small plane (6 passengers) over a mountain range, something I never thought I would do but turned out to be great fun. 9. 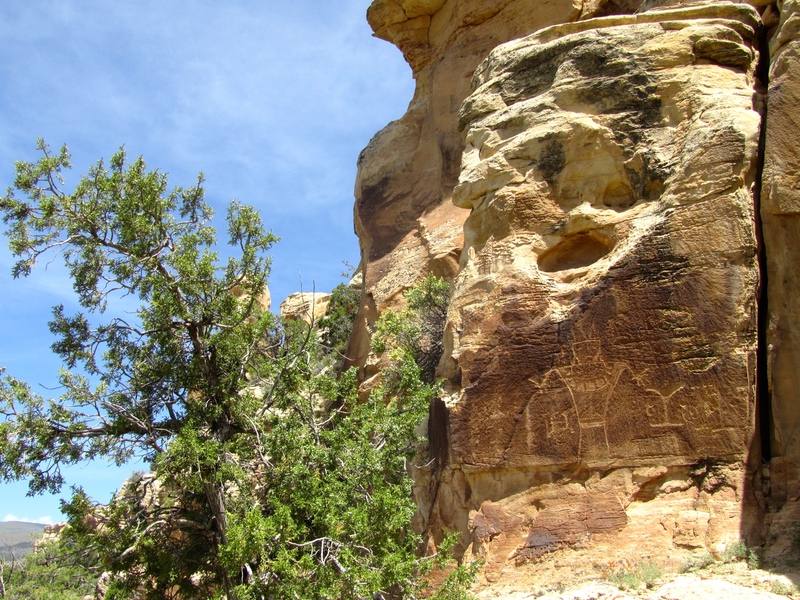 I love exploring ancient pueblo Indian ruins and rock art sites in the western United States. 10. Someday I would love to go to Machu Picchu. 11. I enjoy reading, especially historical fiction. 12. My brother, John DeFerrari, is an author and blogger who writes about Washington, D.C. history at Streets of Washington and inspired me to start my blog. 13. I’ve been playing tennis for over 40 years and still play every Saturday morning. 14. A few years ago, I also took up golf, which I had never thought of as a “real” sport before but now I am hooked. 15. My favorite meal is breakfast and I always look forward to a great cup of coffee in the morning. I also played the cello. I was good, too. I miss it terribly. Great to get to know you more. Hi Carrie. I miss the cello too. Even though I didn’t play long enough to get good at all, I did take away an appreciation for how beautiful an instrument the cello is. Thanks for commenting! Wow, 500 miles on a bike! Not bad. I love biking and try to bike as much as possible in the summer. Wish I could do more since this is the only type of exercise I can commit to. I would love to go to Peru! One of my goals in to be in good shape before I visit Machu Picchu. Out of curiosity, how did it feel to ride inside a small plane? Did your stomach tickle? I want to do this soon…and skydive too. But I fear small planes. What I really like about biking is that it’s exercise you do outdoors in the fresh air. I still ride my bike though nothing very ambitious in a long time! Riding in a small plane actually did not feel strange at all, contrary to what I thought it might be like. Our pilot told us they usually schedule flights in the morning as ours was when the air is calmer. Our flight was very smooth and my stomach was fine–I was so absorbed looking out one side and then the other that I soon forgot about any worries. I hope you get to do a flight soon! Fantastic list, Lisa! You are so adventurous! I love that you biked 500 miles and love travel. I don’t think I can get on a small plane, though. BTW, Washington DC is one of my favorite cities. Glad to know you better. Thank you so much, Beth! This post was fun to write, and it’s been really interesting reading what others have written and getting to know lots of others in the blogging community a little better. Thanks for participating in this challenge. It was fun to read your impressive list along with everyone else’s too. I must say, you are way more adventurous and way more athletic than I am! What a great idea this was for a blogging challenge-thank you for starting it! It was really nice to switch gears and do a post that was just fun to write. And then reading what everyone else wrote was the best part. It’s wonderful that so many have participated and we’ve all had a chance to get to know each other a little better.